The Library Association of Singapore regularly offers interesting PD. 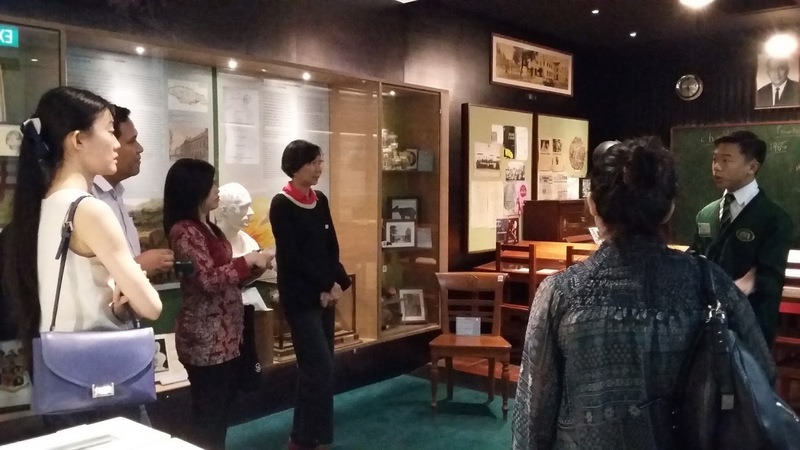 Our member, Foo Soo Chin - School of the Arts, has generously shared this account of a recent professional development visit organised by LAS. This article was originally published at the Singapore Libraries Bulletin. 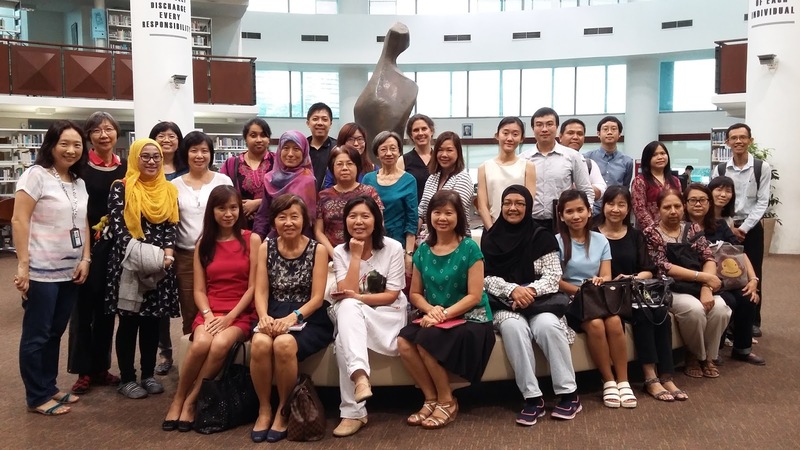 The old and the new – this was the theme of our visit on 22 June 2016 to Raffles Archives & Museum (RAM), Hullett Memorial Library (HML) and Shaw Foundation Library (SFL) at Raffles Institution (RI). It was a rainy afternoon – but it certainly did not dampen spirits of the 30 participants and the visit proceeded with gusto. We started at the RAM, with a presentation by its head, Mrs Cheryl Yap. She shared about the place, purpose, patronage and other interesting points about the rich RI history that dated all the way back to 1823. She also shared on the Memory and Artefact Donation Drive, as well as RAM’s commitment to preserve RI tradition and culture. RAM also hosts exhibitions and gatherings for the Rafflesian alumni. There were many questions from the participants who were keen to learn more about how the artefacts are curated. 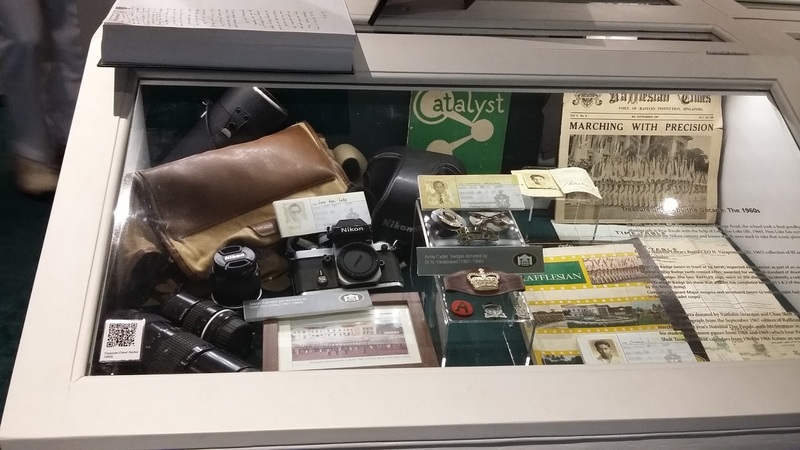 One of the many interesting points was the Raffles Time Capsule – its sealing by Professor Tommy Koh on 25 July 2015 to mark the relocation of RAM to its current location, SG50 and the school’s 192 Founder’s Day. The well-known local filmmaker Ms Tan Pin Pin also filmed the time capsule earthing ceremony on 31 July 2015. The group was then divided into smaller groups for guided tours conducted by student leaders. It was interesting to learn about the contributions of former principals throughout RI history, evolution of the student publication Rafflesian Times which was formerly known as the R.I. Times, small exhibitions of artefacts that belonged to distinguished Rafflesians, such as the late Mr Lee Kuan Yew and so on. The displays have QR codes that contain more information about the artefacts to which it is attached. Throughout the guided tours, the student leaders also shared many interesting anecdotes about the provenance of various artefacts. After a brief tea break, the group made our way to HML. HML is also known as the RI’s secondary school library and used mainly by Year 1 to 4 students. 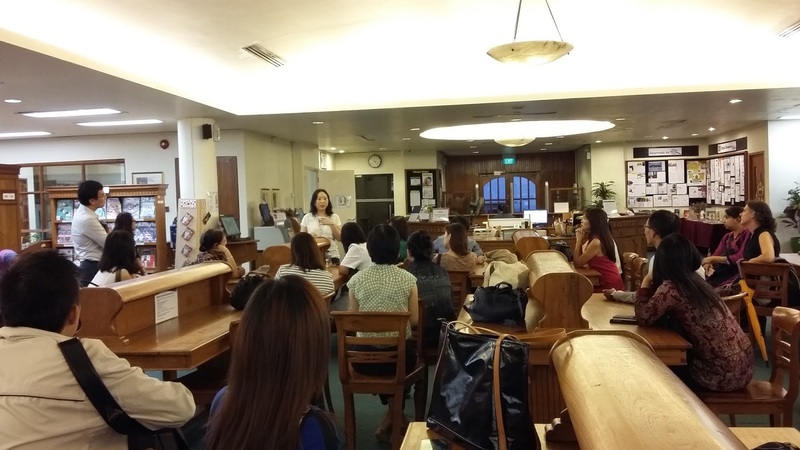 RI’s Chief Librarian, Ms Joanna Yu shared on the range of library services and facilities available to support the learning needs of its users. As we were brought on a guided tour, we learnt that the library was founded since 1923 to mark the centenary of RI’s establishment. Even the National Library of Singapore has its origin at the HML, which was previously known as the Singapore Institution Library – so that makes HML the oldest library in Singapore! We learnt that it was named in honour of the longest serving school principal, Mr R W Hullett. We were impressed with the beautiful regency-styled wooden furniture, which provided a pleasant contrast to the contemporary sofas. We also learnt that the wooden chairs were known as the Raffles chairs - their design of the curved, extended back and swept-back legs was characteristic of chairs in the times of Sir Stamford Raffles. 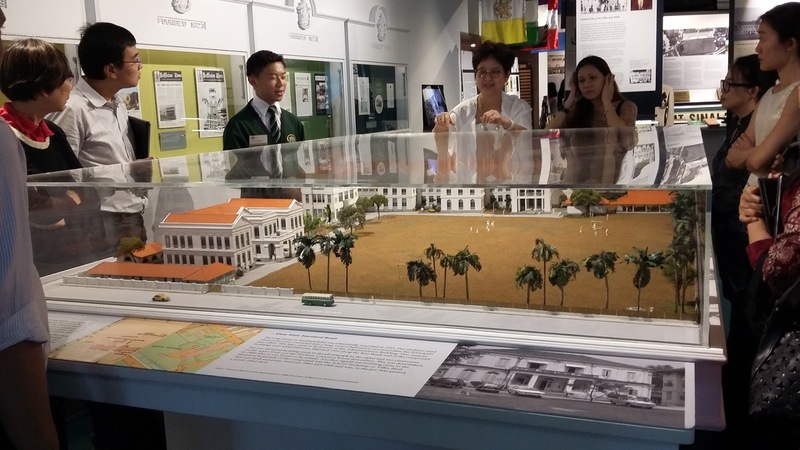 Step into HML, the oldest library in Singapore. of HML’s collection and services. 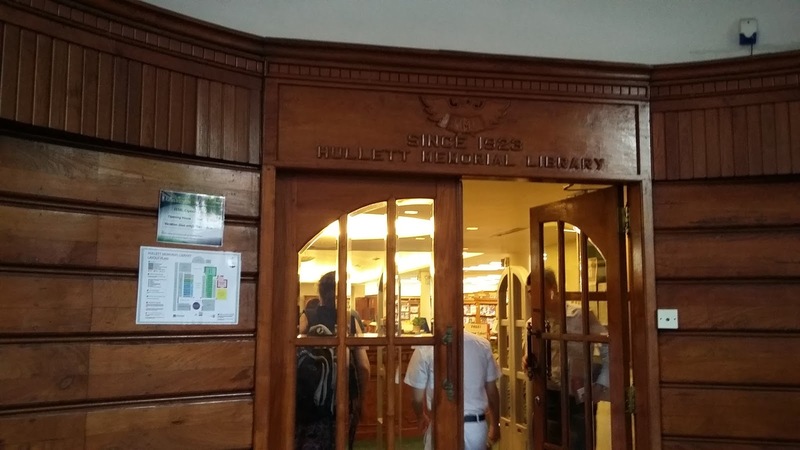 Next, we moved on to the SFL, which is also known as RI’s junior college library and used mainly by Year 5 and 6 students. 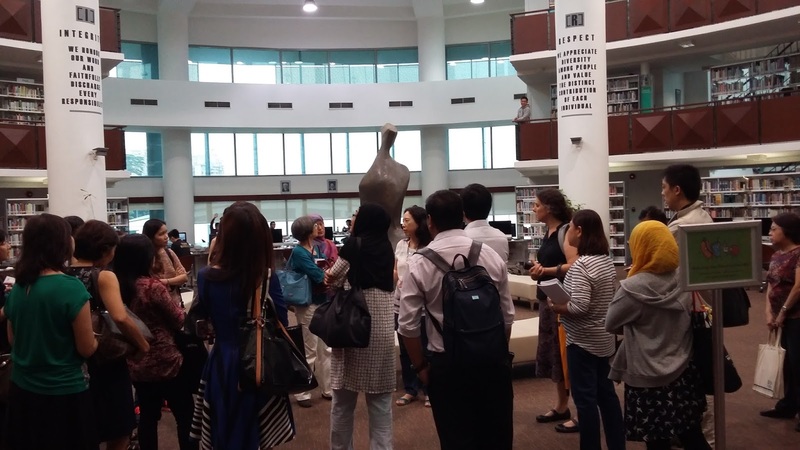 As we went on the guided tour, we learnt more about its contemporary architectural design, collection layout, range of resources and facilities such as discussion rooms. former Mount Sinai campusto its current Bishan campus. the Rafflesian spirit of endeavor. The visit ended with a group photograph with the “Perennial Wisdom” as a backdrop, as we gratefully thank our RI hosts and LAS for making this enriching learning experience possible. Group photograph at the end of the visit.